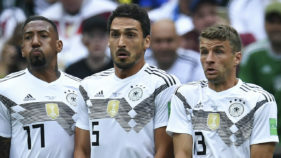 Thomas Mueller on Wednesday said he was "angry" over Joachim Loew's "bad taste" decision to axe him and Bayern Munich teammates Jerome Boateng and Mats Hummels from the Germany squad. 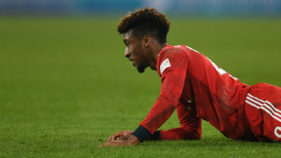 Bayern Munich jetted to Liverpool for Tuesday's Champions League, last-16 first leg without centre-back Jerome Boateng and hoping French winger Kingsley Coman will be fit. Bayern Munich are feeling bullish in their bid to charge down Bundesliga leaders Borussia Dortmund as the German champions kick off the second half of the season with Friday's trip to Hoffenheim. 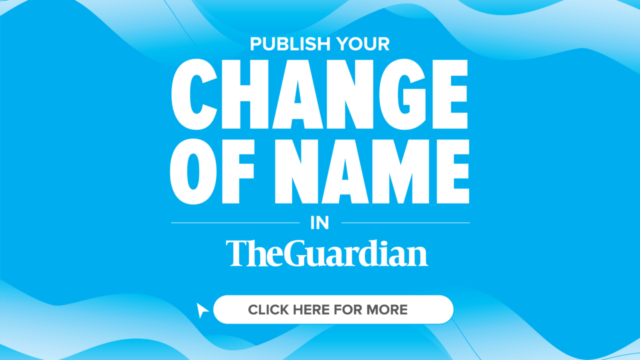 Germany defender Jerome Boateng wants clear-the-air talks with Bayern Munich bosses Karl-Heinz Rummenigge and Uli Hoeness after his proposed transfer to Paris Saint-Germain fell through. 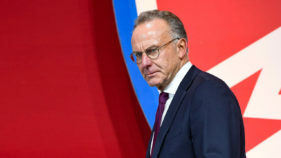 Niko Kovac confirmed Friday that Germany star Jerome Boateng will stay at Bayern Munich, despite weeks of negotiations with Paris Saint-Germain, but Juan Bernat is poised to join the French champions. 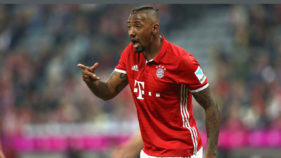 Bayern Munich centre-back Jerome Boateng could join Paris Saint-Germain providing the price is right, the German giants' chairman Karl-Heinz Rummenigge suggested on Wednesday. 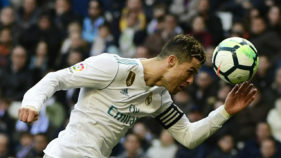 Jerome Boateng says only a defensive team effort can prevent Cristiano Ronaldo adding to his mind-blowing tally of nine goals in six games against Bayern Munich on Wednesday. 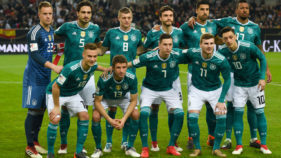 Jerome Boateng insists Germany see Tuesday's friendly against Brazil in Berlin as an important test despite coach Joachim Loew planning a string of changes. Bayern Munich star Jerome Boateng has lifted the lid on Carlo Ancelotti's team selection for what turned out to be the manager's last match in charge, a Champions League thrashing in Paris.